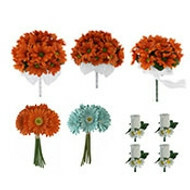 A tropical delight! Crisp white phaleonopsis orchid with a fuchsia throat blooms beautifully in this silk corsage. 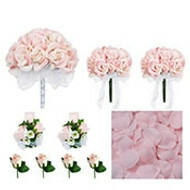 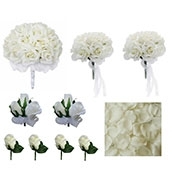 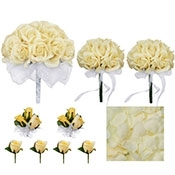 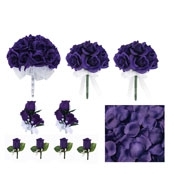 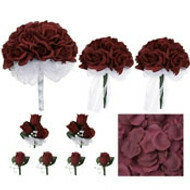 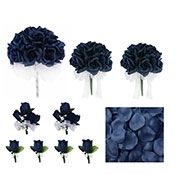 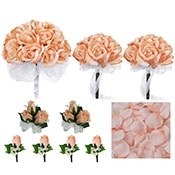 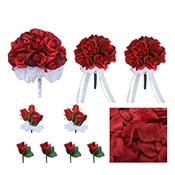 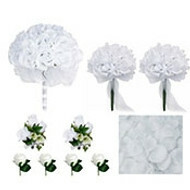 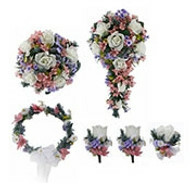 You are sure to enjoy the beauty and low price of this gorgeous silk wedding corsage! 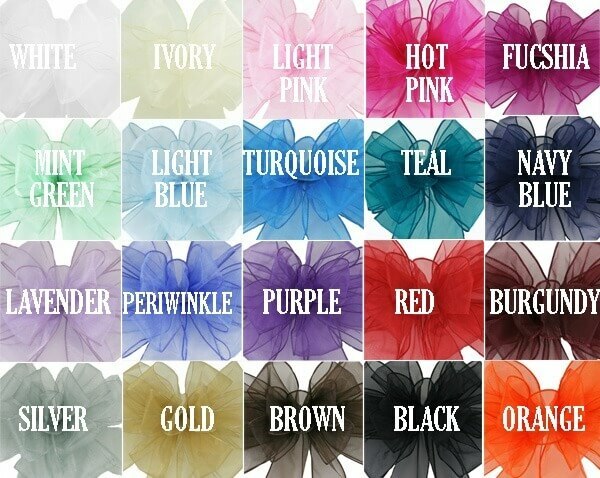 Choose your ribbon color to match your wedding. 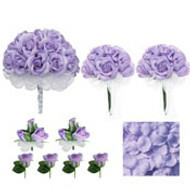 This wedding corsage matches exactly with the rest of TheBridesBouquet.com Tropical Silk Orchid Collection. This silk orchid corsage is 4 inches wide and 6 inches high. Received my order in a timely manner & just as beautiful as the pictures.